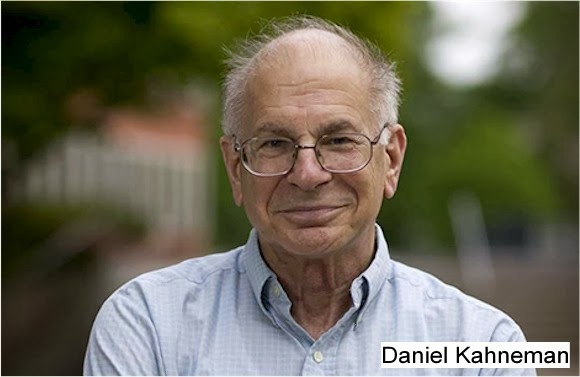 I am grateful to Nobel Prize winner, Daniel Kahneman, for the phrase “The illusion of validity”. I am also grateful to him for writing a very readable book that explains what it means, along with many other things of relevance to all aspects of life, but especially to those of us who wish to be successful traders. The book is called “Thinking, Fast and Slow”. It is available on Amazon, here. Kahneman’s reference to validity is about nothing more or less than the existence of even the possibility to make accurate predictions in the environment in which the aspiring predictor operates, never mind the ability or otherwise of individuals to operate effectively within that setting. When both these conditions are satisfied, intuitions are likely to be skilled. Chess is an extreme example of a regular environment … Physicians, nurses, athletes, and fire-fighters also face complex but fundamentally orderly situations … In contrast, stock pickers and political scientists who make long-term forecasts operate in a zero-validity environment. Their failures reflect the basic unpredictability of the events that they try to forecast”. It is of some interest that Hahneman mentions stock-picking, as this not too far away from what we are concerned with, the trading of Foreign Exchange pairs. For a long time now, we have been saying that it is fundamentally impossible to foretell the future. We have also used Chaos Theory, as propounded by Edward Lorenz, where we likened making predictions in trading to forecasting the weather. The ability to think in probabilities has everything to do with both of these. Kahneman goes further than Lorenz, however, as he points us in the direction of how we can improve the situation: In order to prevail, “all” we have to do is to figure out what is required to make the environment of FX trading more valid, according to his definition. We know that certain patterns exist in FX pair behaviour, even if different pairs have different price movement characteristics. So we can study them. And we do have the opportunity to learn through prolonged practice. This is measured by our work-rate, and the ability to both have access to historical data and to analyse it using our algorithmic routines. In FX we are also fortunate in having fairly rapid feedback whenever we make a decision, unlike in some other areas of study, such as when clinicians attempt long-term predictions about a patient’s future, when they might have to wait years to find out whether or not they were correct. This greatly extends the learning process, no matter how valid the environment.